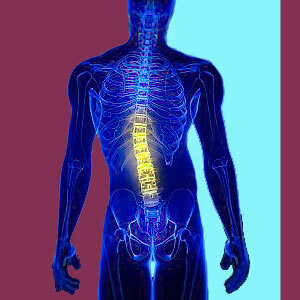 This story is a personal editorial by Sensei Adam, the founder of The Cure Back Pain Network and the Editor-in-Chief of this website, Scoliosis-Pain.Org. My story begins innocently enough as a youngster in school. I was flagged during several scoliosis checks from various school nurses and told to follow up with my doctor. I did so and was always told that my spine was fine. This was until I reached the 11th grade and had a terrible episode of lower back pain that lasted for a very long time. When I flexed my neck downwards, I suffered terrible pulling pain in my lumbar region. My mother remembered that I was flagged for scoliosis previously and eventually took me to see her chiropractor. This was the start of everything bad in my life. This chiropractor took x-rays and performed a physical exam. He had been treating my mother for “non-specific back pain” for years already and she loved him. I had my doubts from the very first visit. He was very grave and told me that I had very serious troubles with my spine which would require aggressive lifelong care (with him, of course). 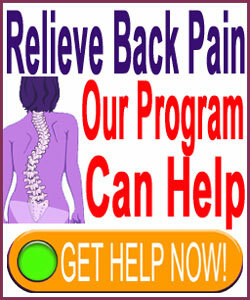 I was shocked, since although I currently had back pain, I never did anything to injure my back. The chiropractor went on to report that I had scoliosis in the lower back, as well as severe degenerative disc disease at L4/L5 and L5/S1. I had very little idea what all of this meant, but he looked terrified for me and really made me feel like a completely damaged person. I could not believe that my life seemed over at such a young age, but the look in his eyes made me fear pain every single day for the next 2 decades. I began treatment with this chiropractor without enjoying the benefit of a second opinion. My mother thought it was a great idea to see this doctor virtually every day for the first 2 months, twice weekly for a year after that and eventually once weekly for some time thereafter. During this time, my back pain did feel better, but did not completely resolve. It came and went, without warning or provocation, but my “trusted” chiropractor always had some excuse why it was happening. If nothing else, he could always remind me how damaged my spine was and that would shut me up quickly. The chiropractor continually raised his fees until it became a huge burden for me to pay for treatment. I was about 18 now and was fending for myself. I began to really doubt everything that I had been told and eventually phased out this doctor once his pricing became impossible for me to afford. He was unapologetic for his astronomical fees, but made sure to warn me of the dire consequences of discontinuing treatment with him. I did not have, nor did I ever have, scoliosis. I discovered from an honest orthopedic surgeon that my spinal curvature was only a few degrees and was considered in the range of normal. I never had scoliosis according to him. All the research I performed confirmed this fact. Remember, back at this time, there was no internet, and if one wanted to investigate medical topics at a deep level, one would have to travel to medical school libraries and discuss topics with any enlightened minds who would entertain the idea. This is exactly what I did and so began my work in the chronic back pain sector around the age of 18. My story goes off on many tangents after this point and kept me in various types of treatment for a wide range of back “problems” including degenerative disc disease, a total of 12 herniated discs, a spinal syrinx (which also turned out to be misdiagnosed) and other dorsalgia concerns. However, I will limit this version of my story to the facts relevant to scoliosis. You can find the rest of the chapters of my tale on the various other sites of The Cure Back Pain Network, as well as in my books and independent publishings, if you are interested. My story does teach a valuable lesson that care providers are often wrong when it comes to many things. Diagnoses can be inaccurate or exaggerated. Treatment can be subjectively recommended and contraindicated for many reasons. Surgery is virtually always option for all back pain diagnoses, but is often force-fed to patients under fear of disability or death. In the past 30 years of full time work as a patient educator, advocate, author, pain coach and “back pain scholar” (not my words, but a title bestowed in the media…), I have seen it all when it comes to the injustices perpetrated against the very patients who doctors and therapists have sworn to heal and serve. I have seen many catastrophic injuries and deaths among patients as a direct result of iatrogenic healthcare. I have lived to help these pained people, since I am one of them and have full empathy for their struggles. I know that my eventual successful navigation of my own chronic pain struggles have provided the knowledge and tools to become a unique, honest voice in a confusing world full of misconceptions, mythologies and lies. Medicine is a business, now more than ever before in human history. Doctors graduate school with an expertise on how to make medical practice profitable, regardless of the risks or consequences to their patients. It is up to each physician, chiropractor and therapist to decide how to utilize their healing capabilities. Some choose the high road, working to solve the numerous problems in the healthcare system by providing uncompromising, ethical and enlightened care to their clients. Others have sold their very souls for ever-larger sums of money and do not care what crap they sell if it makes them a dollar at the end of the day. Be warned. You must become knowledgeable. You must become proactive. You can not sit idly while life decisions are made for you by the very people who stand to gain financially from your suffering. Scoliosis is just one of many diagnoses that still suffer from antiquated information within the traditional and complementary medical establishments. This misinformation is used as weapon to make money. Let the latest research and accepted opinions on scoliosis weigh heavily on your diagnostic and treatment decisions before making up your mind on the best path for you or your child. One misstep could spell disaster, with lifelong consequences, as it did for me. However, my suffering was not in vain, for now it serves all of us well through the lessons I have learned so well in the past 30 years of involvement in chronic pain on many levels. I have come to embrace my suffering, since it has directly helped millions of people worldwide, which is a revenge that is very sweet to me. In the end, I am so happy to make something positive out of such torment. I also hope that that original chiropractor gets exactly what he has coming to him in terms of karmic come-uppance!